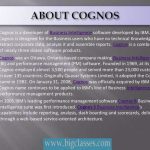 Cognos is considered as an expert software suit of IBM’s BI. It is mainly designed for the overall performance management of an enterprise. It allows the business owner to access all the industry data and gather reports from without any technical knowledge. 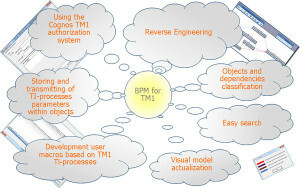 The Cognos software can be used with multidimensional data sources like Microsoft, Oracle and SAP. By the time, this Cognos software has achieved popularity and several small and medium size businesses and MNC’s are adopting this software for better performance management. Cognos software has many benefits that are critical for the growth of any company. Cognos allows companies to have in depth analysis and also reporting. The most significant part of this software is, it can be modified as per the requirement of a business. To Learn Cognos Click Here! 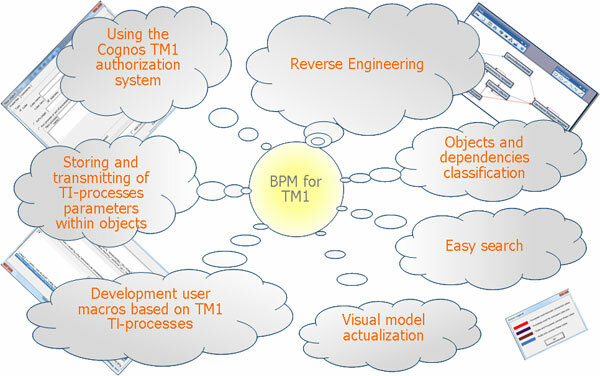 The customization of Cognos gives the maximum benefit. The increasing demand for Cognos also increased the searching for appropriate Cognos educated individuals. It gives you the right chance to train yourself Cognos to start a new career in IT. There are a number of institutes which provide Cognos training to the learners. Having a good knowledge on the Cognos technology can end up offering you that right stage to start your dream career. Cognos online training can be attended by any student to start a new career in the IT industry. The prerequisite for this course is student should have a degree in Computer science or Computer Engineering. BigClasses is one of the best online training organizations offer Cognos training. We have qualified and experienced faculties who are responsible for taking the online sessions. We provide study materials and 24 hours support to our national and international learners as well. If you are interested in Cognos online training, contact us for the detailed course and the free demo classes.